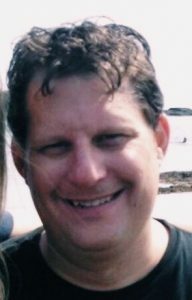 PORTLAND – Tom M. Belaire, 53, died unexpectedly following surgery on Thursday, Dec. 13, 2018 at Maine Medical Center in Portland. Tom was born in Lewiston on Sept. 30, 1965, the son of Constance (Connie) and Richard Belaire. An athlete, he lettered in tennis, soccer, and ice hockey before graduating from Lewiston High School in 1984. He graduated from Bentley College with a degree in Business Administration. For many years, he worked in his family’s businesses, Modern Glass and Champion Glass. More recently, he was a Sales Representative for Higgins Corporation, covering Rhode Island and Massachusetts territories. Tom, his father, Richard, and his brother, David were a tightly knit trio. Even though distance sometimes kept them apart, Tom and his father, Richard, talked on the phone frequently. Tom and his brother, David, were in daily communication by text message, sharing the daily details of life, celebrating success, and offering support to each other. A loving father, Tom was extremely proud of his daughter, Samantha Belaire, and her many scholastic and athletic achievements. He enjoyed going to her school events, especially seeing her success as a tri-captain for the Cheverus girls soccer team during their 2018 semi-final run. Tom’s hobbies included analyzing the stock market and following the success of New England’s sports teams. These topics were regular conversation items, for he and his lifelong friend, Marco P. Giancotti, who he first met in seventh grade when they were neighbors on Reservoir Avenue, in Lewiston. He and Marco remained friends over the years and had a lifetime of great memories, including going to Super Bowl XLVII in New Orleans in 2013. Tom was predeceased by his mother, Connie, in 2009. He is survived by his father, Richard Belaire of Old Orchard Beach and Longboat Key (Fla.); his brother, David Belaire and his wife, Nevena of Old Orchard Beach; his aunt and uncle, Helen and Herman Baumer of Lisbon Falls, his aunt, Doris Fitts of Santa Monica, Calif.; cousins, Jim Baumer of Brunswick, Julie-Ann Baumer of Lisbon Falls, Tom Fitts of San Francisco, Calif., Dr. Jim Fitts of Santa Monica, Calif., and Julie Fitts of Santa Monica, Calif.
A Mass of Christian Burial will be on Friday, December 21, at 11 a.m., at Holy Family Church, 607 Sabattus Street, Lewiston. Visitation will be held on Thursday, December 20, from 2 p.m. to 4 p.m. and 7 p.m. to 9 p.m. at the Pinette Dillingham & Lynch Funeral Home 305 Alfred A. Plourde Parkway in Lewiston, 784-4023.